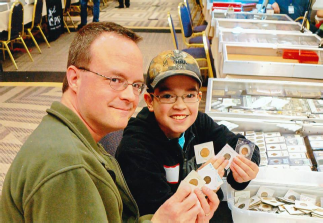 Another successful Convention and coin show. 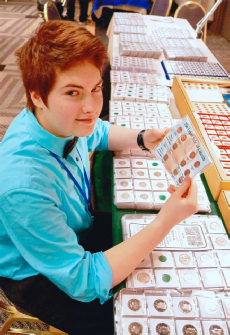 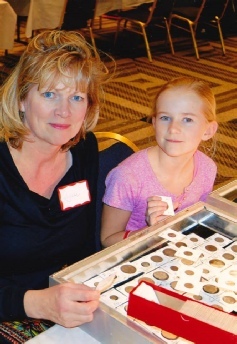 Kelsey Olson, (14) has a complete Wheat penny collection and she got to check out the dealers and hopefully to add to her collecting efforts. 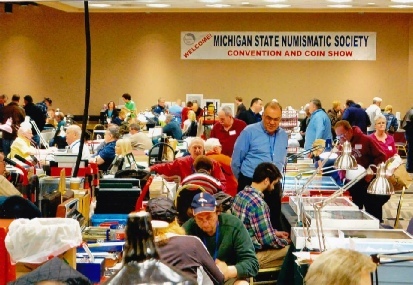 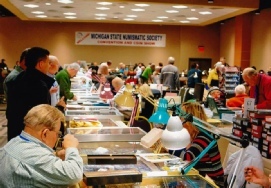 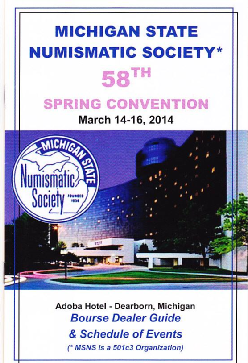 Wall to wall coin dealers and aisles filled with coin collectors made for a successful MSNS Convention and Coin Show. 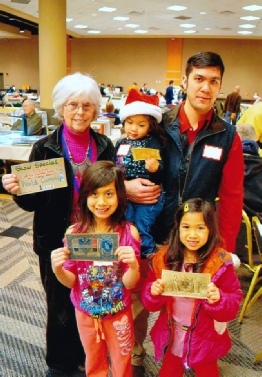 Sue Bauman poses with the Tran family, of Westland, Anthony with his daughters, Maya, Thrisha and Katie, recieved a gift of colorful currency from Sue, TNA Associates, for stopping by her table. 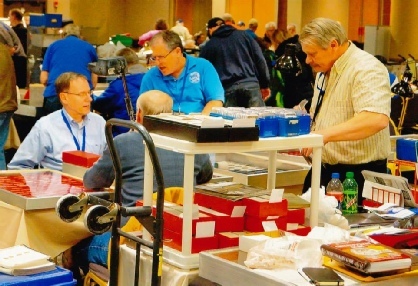 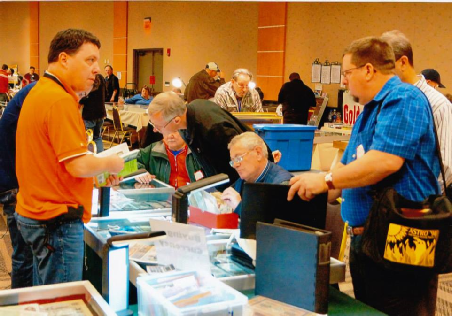 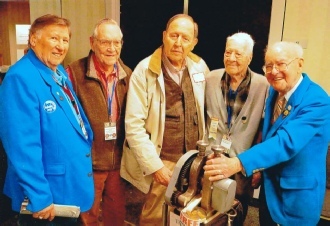 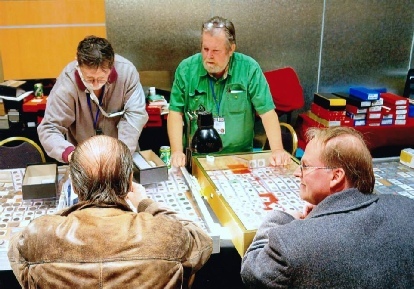 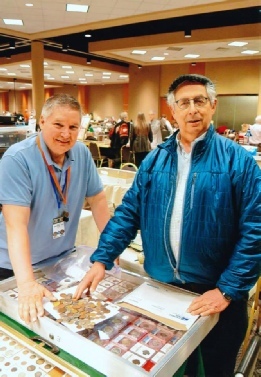 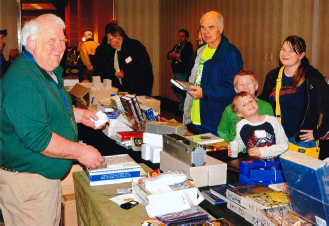 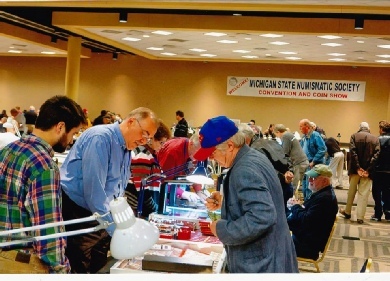 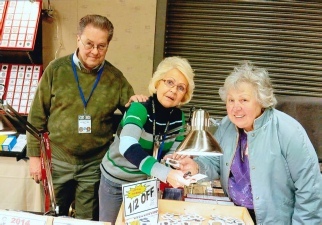 Coin dealers and collectors met and mingled on the Show floor, doing business. 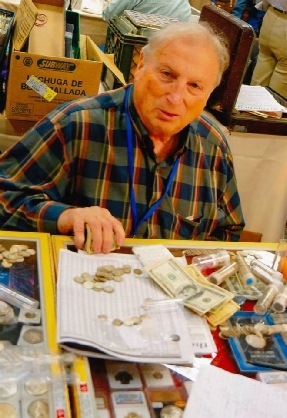 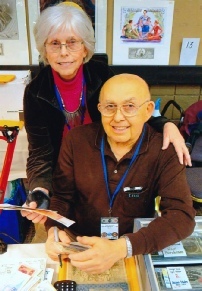 NO time for horsing around - Pat Muscat, former Detroit Police Mounted Police Inspector, is now a respected and successful coin collector and dealer.